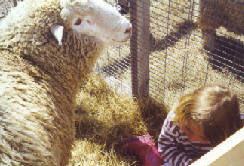 Learning about fiber and fiber-producing animals is what the Sheepfest is all about. This is the place to meet them up close and personal. 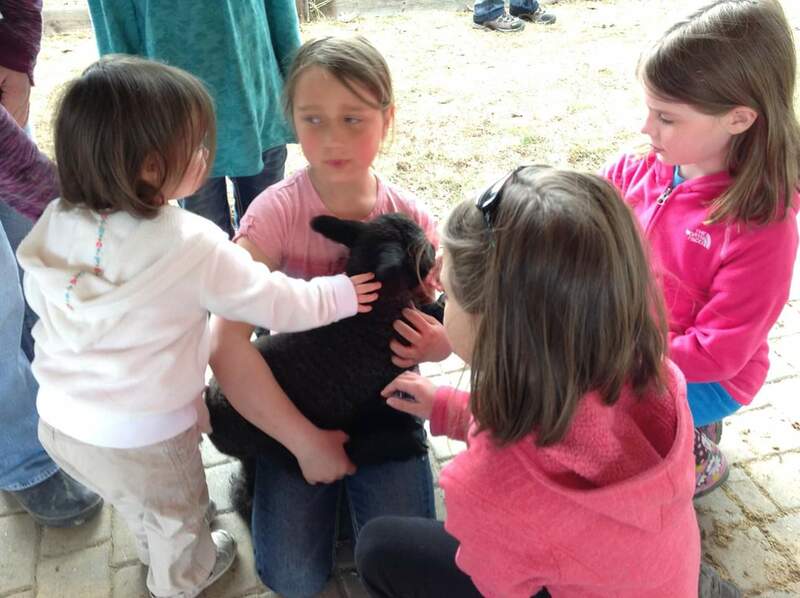 While the event focuses on the shearing of sheep there are plenty of opportunities to learn all about using the fiber the animals produce and about raising them, too. Spring is lambing season and some of the ewes coming for their annual shearing have their lambs right there in the pens with them. This keeps everyone happy. Mothers like to know where their babies are, to keep them in sight. 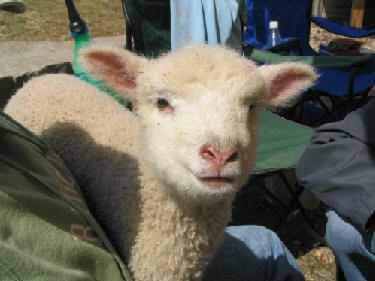 Lambs like to know where their moms are in case they get hungry. 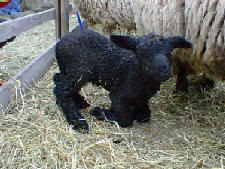 Kids and adults, too, come to see these little woolly creatures, new to the world and so endearing. 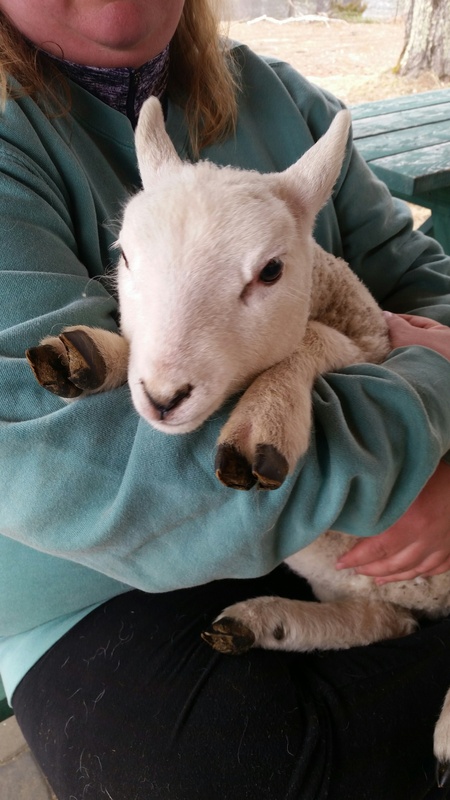 This is a time to experience their world, to touch and to learn what raw wool feels like, to discover the lanolin in a raw fleece, to listen to their sounds and, perhaps, hold one in your arms. Sheep are not the only animals that come to the Sheepfest. 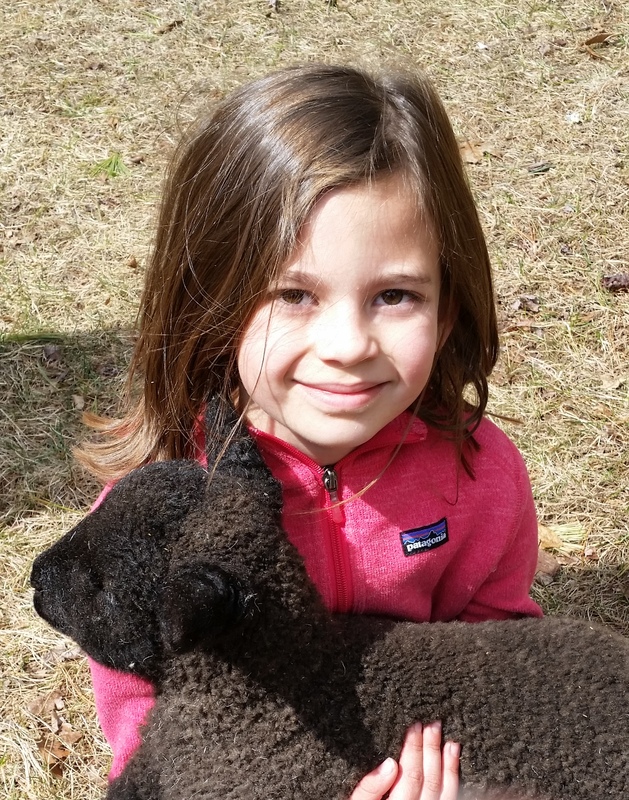 We have had llamas and alpacas, too. Some are all one color while some are spotted or might have subtle shading in their coats. 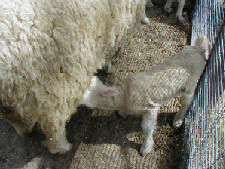 Their fiber is very different than sheep's wool but it can be spun into yarn and dyed just like wool. 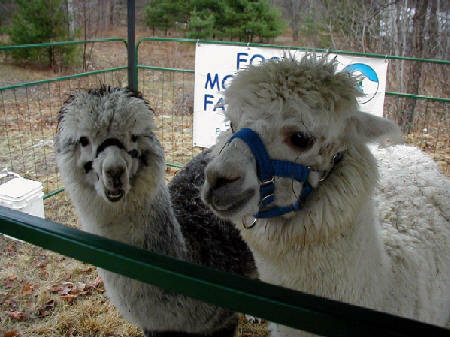 You'll find most of them in South America but there are many llamas and alpacas living in Maine now. 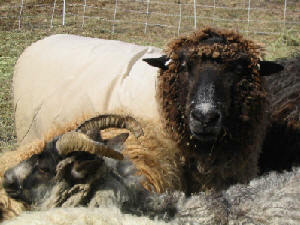 Clothing made from their soft fiber is much warmer ounce for ounce than sheep's wool, but because it doesn't have much elasticity it is often blended with wool. 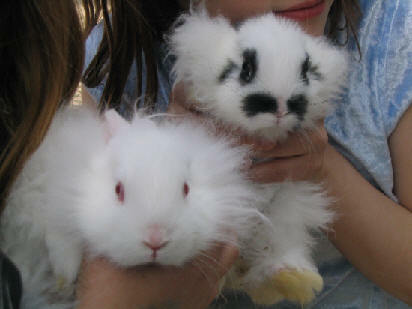 We also have a lot of Angora bunnies coming to the Sheepfest. They come in many colors and have very soft fiber, too. 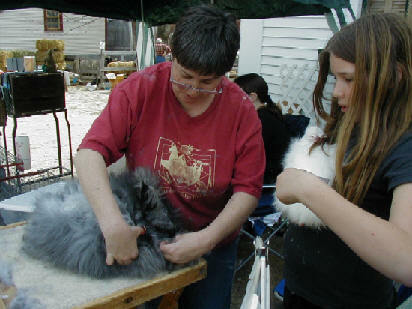 The fiber of some bunnies is clipped or sheared, while others are plucked, depending on coat type. 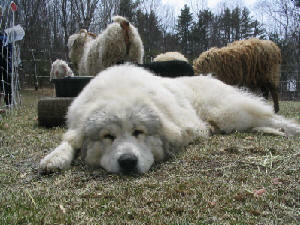 You might even see some Angora goats, cashmere goats, Pygora goats, and a guard dog or two. This one only looks like he is asleep. He knows every move made by his animals and the people around the fence, too. Sometimes you might even be lucky enough to see some little kids! 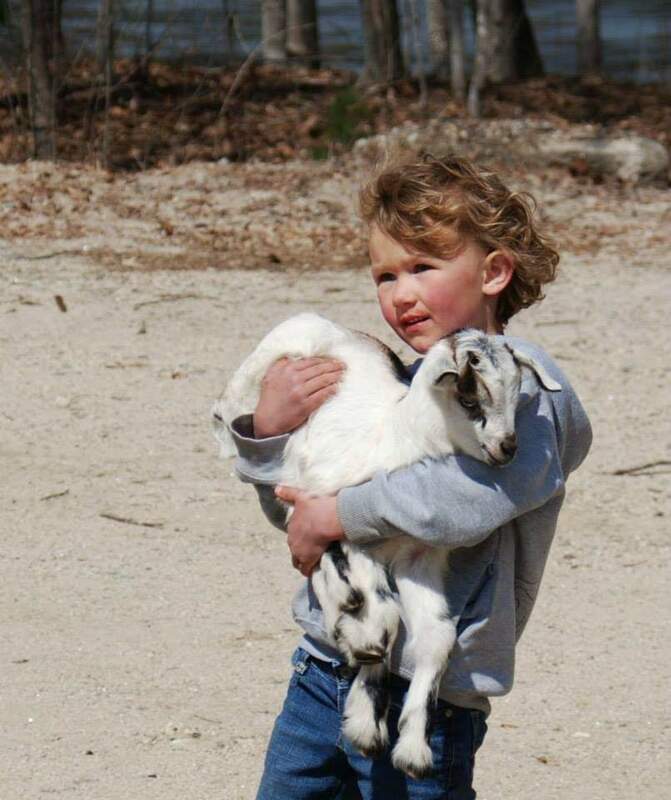 Goat babies, not humans. 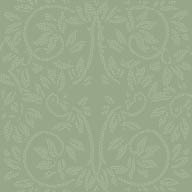 Did you know that angora fiber comes from Angora bunnies but that the fiber that comes from Angora goats is mohair?